What’s the first thing that comes to mind when you hear the word fleas? For me it’s creepy little bloodsucking freaks that infest your house and are impossible to get rid of. I say that because I’ve dealt with fleas a couple of times, and it’s no fun at all — and to top it all off they’re notoriously hard to get rid of. When my dog got fleas a few years back I panicked. After 20 years of owning pets I’d never had to deal with them before. I went to the store, bought a bunch of products and got to work. After each treatment I’d let out a sigh of relief, and yet a few days (or weeks) later the fleas would be back. After learning a little bit more about their life cycle I started to understand why they have a tendency to keep coming back, and how to effectively get rid of them. 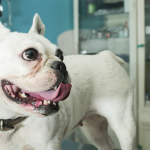 Here’s 3 reasons why fleas are so hard to get rid of, and what to do if you find fleas on your dog. Fleas are so hard to get rid of because they reproduce (lay eggs) like crazy. An adult female flea lays 20-30 eggs on average per day, but they can lay up to 50. So when it comes to getting rid of fleas just treating for the adults isn’t enough — you also need to treat the environment to get rid of all those eggs they left behind. In order to lay eggs a flea must have access to food, and in the case of fleas that means the blood of their host. Flea eggs have a rounded oval shape with a smooth surface. When they’re first laid they’re wet and sticky, but they quickly dry out. And since fleas only lay eggs on their host (usually our pets) those eggs end up falling off all over the place. This is why fleas are notoriously hard to get rid of. We treat our pets for adult fleas when we see them, but forget about all those eggs they’ve left behind. And after a couple weeks those eggs hatch and the process starts all over again. When you have fleas in your home you need to get rid of them at all life stages, including their eggs. Flea eggs fall off their hosts, leading them to get stuck in carpets, in cracks and crevices, in pet beds and under furniture. This is why repeated vacuuming and cleaning your floors is necessary when getting rid of fleas in your home — especially in areas where your dog hangs out a lot. Cat fleas are highly reproductive. A single healthy female produces an average of 20-30 eggs per day, roughly one egg an hour. – How Many Eggs Do Fleas Lay? Another reason fleas are hard to get rid of is due to their life cycle, and that cycle happens without us even noticing. 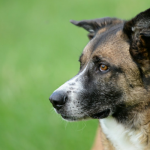 We use treatments that are effective for killing adult fleas, but those treatments don’t necessarily work on the other 3 stages of their life cycle. Fleas have 4 stages in their life cycle — egg, larva, pupa and adult. The egg stage lasts anywhere from 2 days to 2 weeks. The larva stage develops over a couple of weeks by eating “flea dirt” (adult flea poop) and other organic material it finds in the environment. The pupa stage, often called the cocoon stage, lasts for a couple days to a couple of weeks. If the environment isn’t right for the pupa to emerge as an adult the cocoon can protect the developing flea for months or years in certain instances. As mentioned above a female flea can lay up to 50 eggs per day, so it’s important to repeatedly clean and vacuum your floors when trying to get rid of fleas. If any eggs get left behind they can hatch into adult fleas, and your infestation can start all over again. When it comes to picking a flea treatment you have a ton of options. There’s prescription medications, IGRs (insect growth regulators), sprays, foggers, collars and spot on treatments. And while having all those options is good it does make the process of trying to choose the right one confusing to say the least. I’m not here to tell you what treatment to use to get rid of fleas, but I am here to tell you that the vast majority of them don’t disrupt the flea life cycle completely. IGRs for example will kill adult fleas, eggs and larva, but they don’t effect the pupa stage. Those pupa can hatch, and a few weeks after using an IGR you may notice fleas starting to show up again. That doesn’t mean IGRs and other flea treatments are useless because they don’t kill fleas at all stages of the life cycle — it just means you’ll also have to treat your environment with something that works on pupa. So how do you treat the environment? A lot of cleaning and vacuuming. It sounds simple I know, but it is effective at picking up all those nasty little eggs, larva & pupa those fleas have left behind. 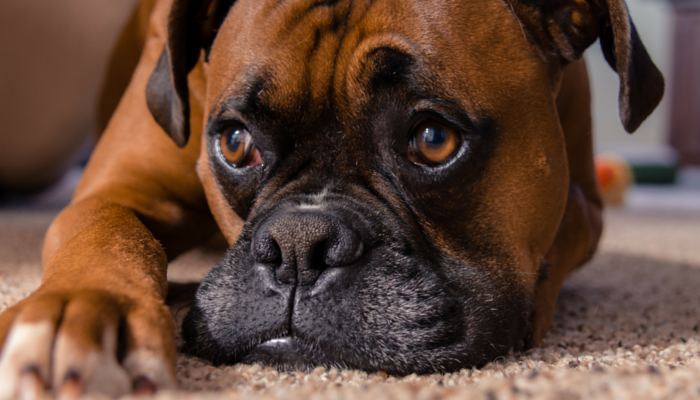 As soon as you’ve treated your dog for fleas it’s time to start cleaning your floors, focusing heavily on the areas where your dog spends a lot of time. When getting rid of fleas remember to treat your dog and the environment. Many flea treatments only focus on eliminating adult fleas rather than disrupting them at all stages of their life cycle. Fleas are so hard to get rid of because we tend to only focus on eliminating the adults. 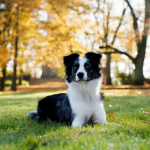 To get rid of fleas you need to treat your pet and the environment. So that means finding a treatment for your dog that kills adult fleas, and then eliminating all the eggs, larva & pupa they left behind. The best way to get rid of fleas is to pick a treatment for your pet to eliminate adult fleas, and then work on treating the environment. And in most instances that can be done with a little elbow grease. If you vacuum enough and clean the areas where your pet likes to hang out you might not have to treat your home with any additional treatments. After treating your dog for fleas, consistent vacuuming will help eliminate all those eggs, larva & pupa they’ve left behind. 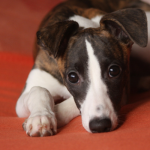 Focus on areas where your dog spends a lot of time such as the couch or their bed. Vacuum under furniture as well since a lot of larvae and eggs can be found at the base of furniture. You’ll also want to wash any bedding or blankets your dog has come into contact with in hot, soapy water. When we had fleas I vacuumed three times a day for a couple weeks. Flea eggs can take 2-3 days to hatch, so consistently vacuuming for a couple of days will help ensure that you’re getting rid of fleas at all stages of life. If you have fleas in your home you have my permission to freak out a little. I know I did. But don’t fret too much — you can get rid of them as long as you remember to treat your home as well as treating your dog. If you spot fleas on your dog remember that only a small proportion are on your dog at any given time. 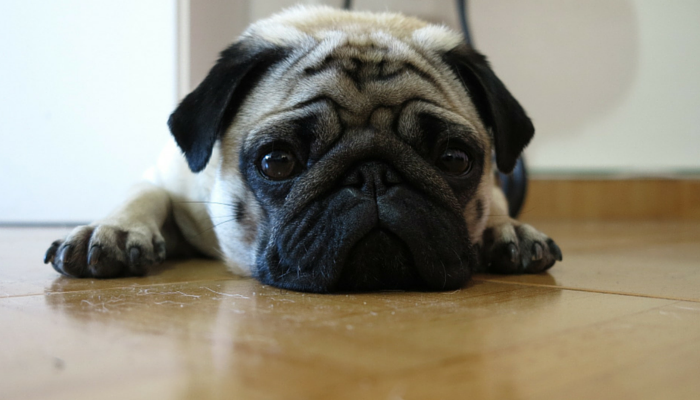 The eggs, larvae, and pupa are actually found on the ground, often embedded in carpet and other places where your dog spends a lot of time. Instead of just focusing on the visible fleas you need to eliminate all those little nasty eggs, larvae & pupa they left behind. If you’re only killing adult fleas it’s just a matter of time before all the eggs hatch into a whole new infestation. Thanks for a wonderfully clear and concise article. As an exterminator I can say you should never treat your dog with an IGR despite what this article says.. You treat the carpet with an IGR in combo with prescription medication for your dog or cat. IGR may need 2-3 treatments before the problem is totally eliminated. depending on their egg cycle. 3. Hire a Pest Control Professional to use IGRS. Hire a company with a guarantee on elimination. Your article is very helpful! Those fleas are a real disaster… And the scariest thing is that natural remedies to get rid of them are not always effective. And dogs are really sensitive to such a medication sometimes, so only a vet should prescribe it.